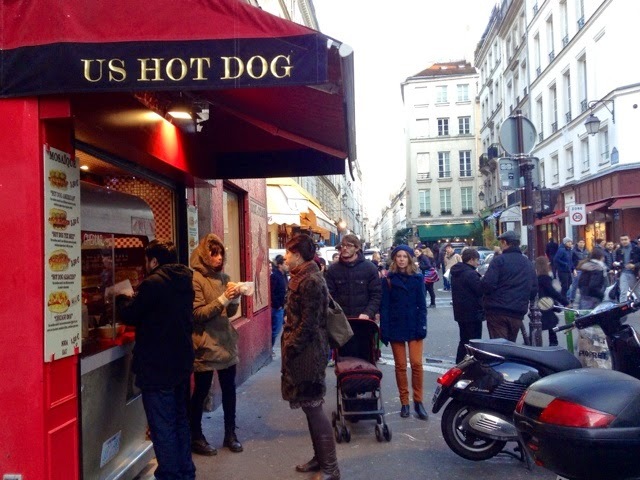 paris breakfasts: Paris (Hot) Dogs! 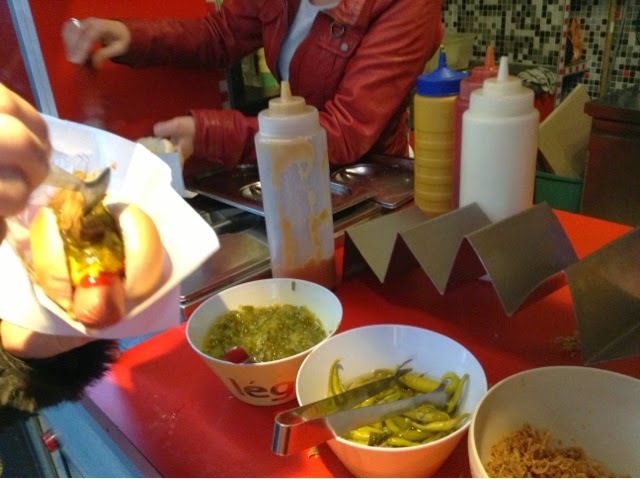 Heavy duty research of The New York hot dog in Paris has kept us very busy at PB HQ. 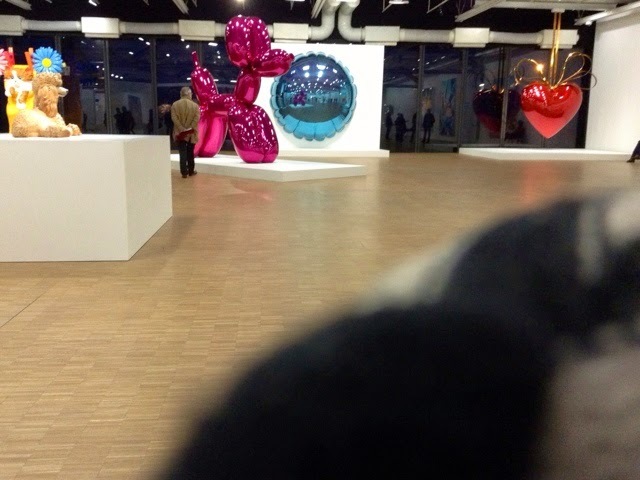 Bear and I were near moved to tears when we spotted Jeff Koons' dog at the musée Pompidou last week. Memories of New York hot dogs past came to mind in a whoosh of emotion and knocked us flat. The hot pursuit was on. 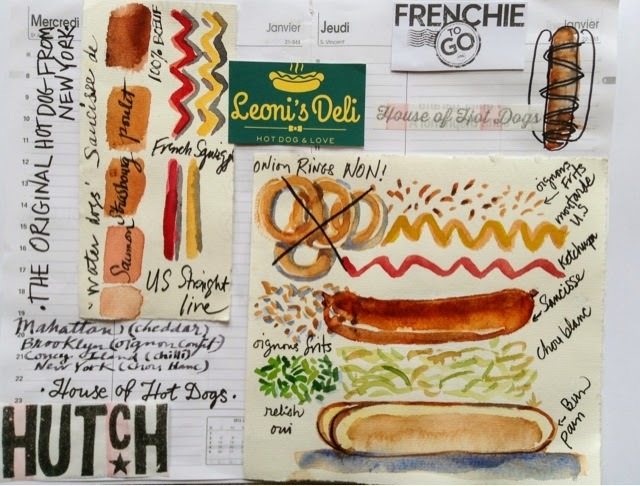 Head honcho of Serious Eats, Ed Levine picked Frenchie To Go for the best hot dog of Paris and best taste of 2014. 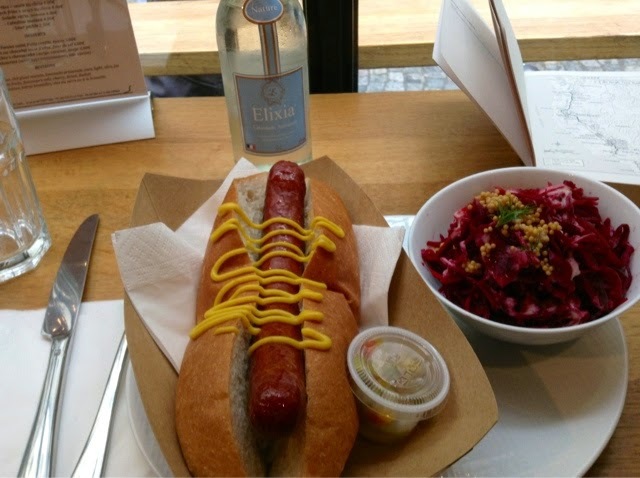 He waxes poetic..
'The hot dog in its brioche bun is a work of art, maybe not deserving a place in the permanent spot in the Louvre, but worthy of a gallery showing on the Left Bank for sure. I took a bite. The memory of Nathan's flooded back to me. It had that snap, the grind gave it a perfect, just chewy enough texture, it had been properly smoked, and the garlic and salt that seasoned the hot dog were perfectly proportioned. 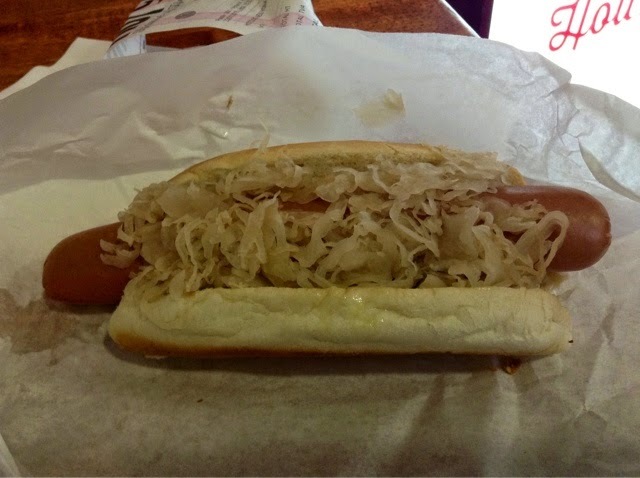 A classic Nathan has the sauerkraut piled up high on top. Underneath the dog? No way José! 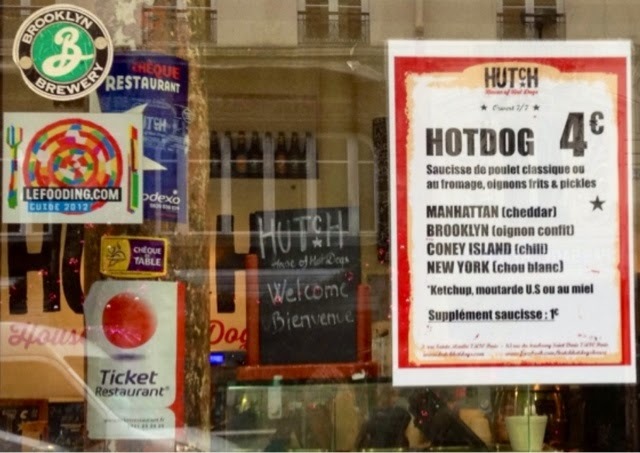 One can see why the French are entranced by the iconic classic NY hot dog. Doth not the French éclair appear to be a relative? Having perfected the one, they are perhaps driven to perfect the other? 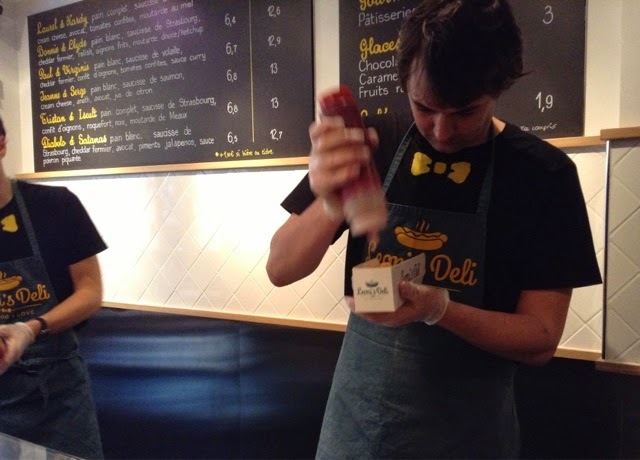 La Mosaique - Pat's Hot Dog 56 rue du Roi de Sicile Marais was buzzing last Saturday. Could this be Pat? To busy to ask. You put on the toppings yourself - Relish, hot peppers and tiny fried onions. 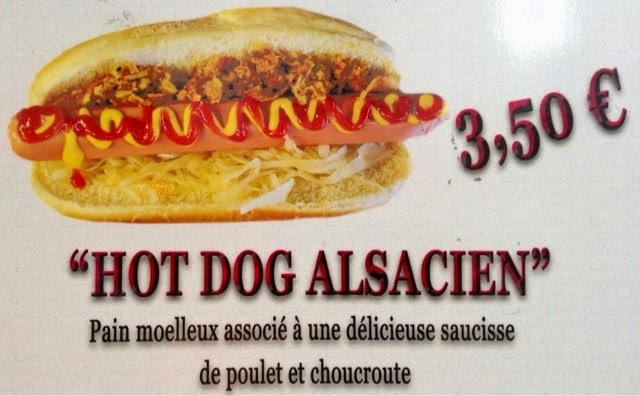 I got the 'Alsacien' not noticing it was a chicken dog. This tasted more like a REAL New York hot dog than Frenchie I gotta say. 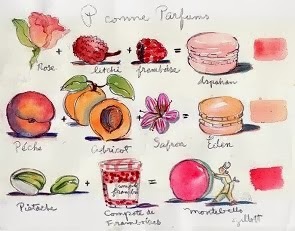 Plus gelatteria Pozzetta is across the street waiting with pistache gelato. What's not to love? The price is right too. At Les Halles cinema I passed on the so-called Original New York dog. No kraut on offer. Did they have any kraut? No way. Too stinky they said. Hmmm. Paul et Virginie, Jeanne et Serge, Laurel et Hardy, Tristan et Iseult. 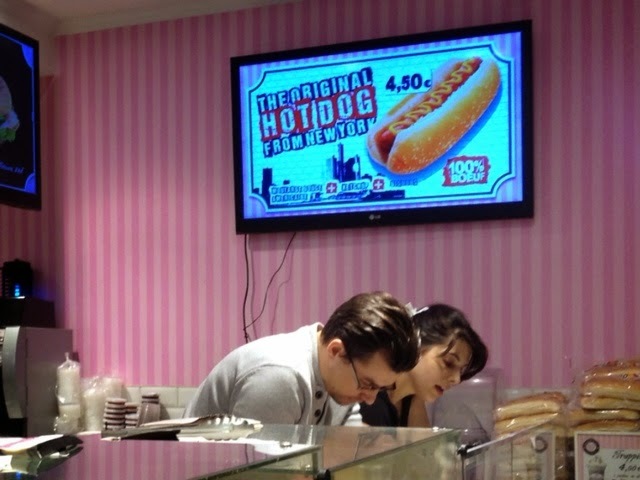 This shop LOVES hot dogs and does them proud. Their serving tray has a mission statement printed on it. You won't need a book here. This place came the closest to fulfilling our dreams of the REAL New York dog. Their options are simple and right on. All for 4 euros. 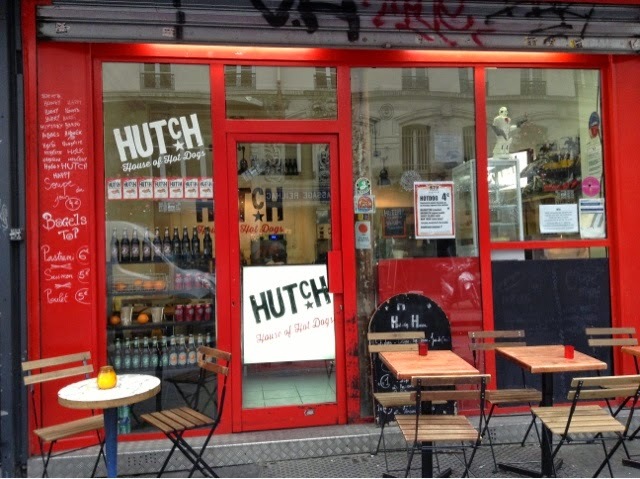 Ze dog New Yorkaise parfait at Hutch wins Top Dog in Paris. For a brief moment I thought I was back in New York. 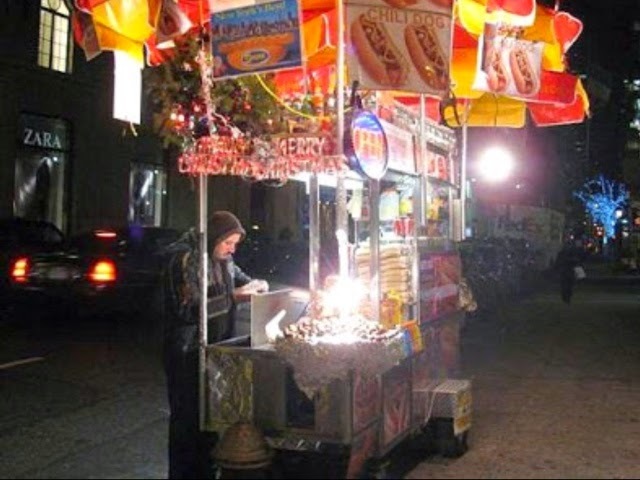 Will a Sabrett hot dog cart please come to Paris!! OMG this went straight thru my heart to my tummy! 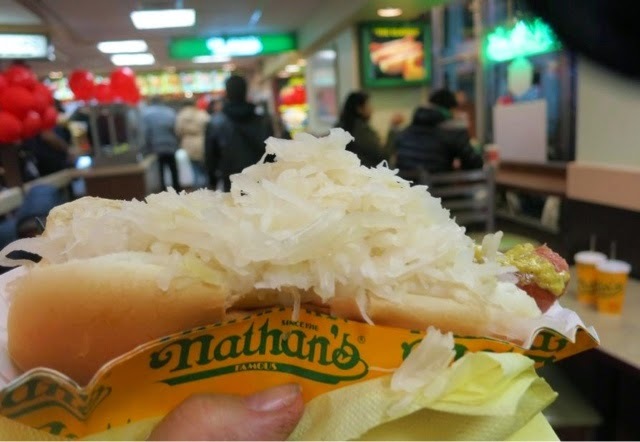 I rarely eat hot dogs but if I do, nothing beats NY style Nathan's ... I have fond memories of this lunch on the run in a subway stop Nathan's. 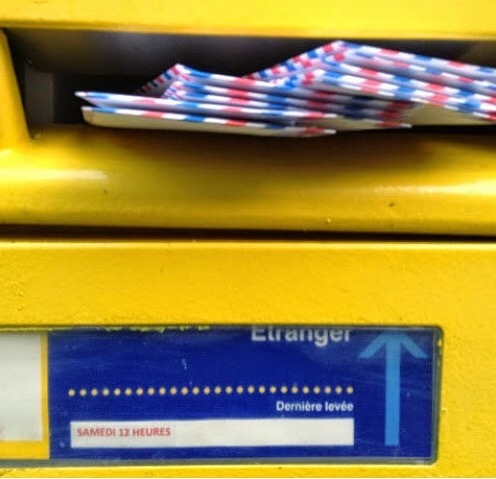 The oddest thing to me is the fondness Parisians have for this ... 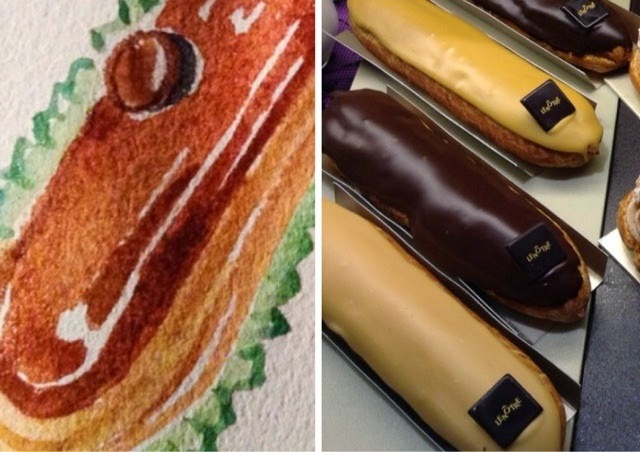 Your eclair comparison is brilliant and funny all at once! 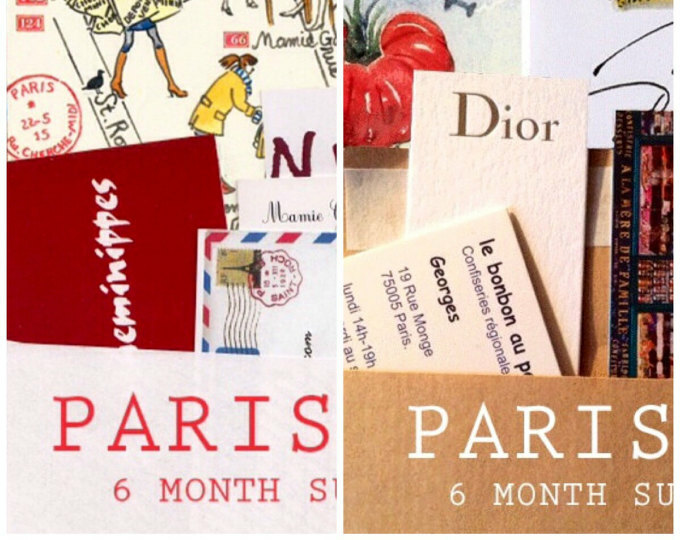 It is funny, but they insist on giving it their own twist to suit their aesthetics I guess. Who is Barbet? Do you mean Babar? I never eat them..unless we are in FL and our 3 little boys want some..and dare I say..they are so good on the BBQ..So I eat one..every 365 days...or 366. It's not an every week thing for me either Monique. More the power of suggestion and how one thing leads to another. A lot of attention to detail here when you think most US hot dog joints have just a plain dog for sale without all the fancy trimmings and decorations. 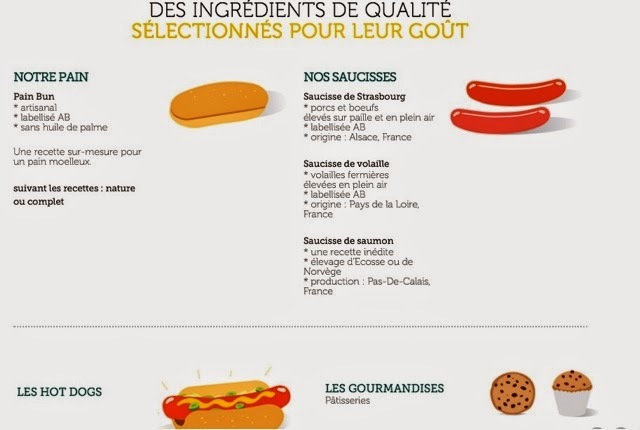 I love the occasional summer hot dog but I wouldn't be thinking Hot Dogs when in Paris.. Leave it to the French. 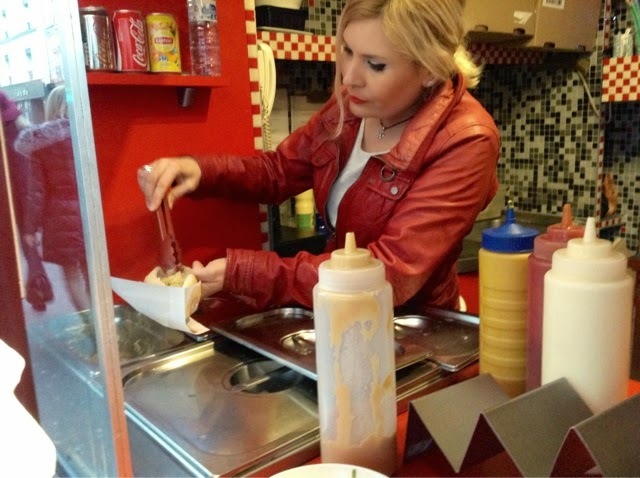 I really, really miss those Sabret hot dog guys in Paris. Something about their fortitude staying out there is all kinds of weather trying to make a buck. 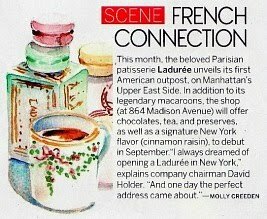 You're like a dog with a bone...no pun intended,but I cn just see you 'researching' Paris hot dogs just the way you do a macaron etc. Buster approves of your diligent research....a very worthy project and so beautifully presented. I'm glad you are well and out and about. So sad about the Charlie Hebdou attack but I do feel the Euros take these things more in stride than in the US where panic is fanned by the media - rather than community and getting on with whatever is. A hot dog stand at le chateau! What could be more purfect! Wow, you really are a wealth of inside information. 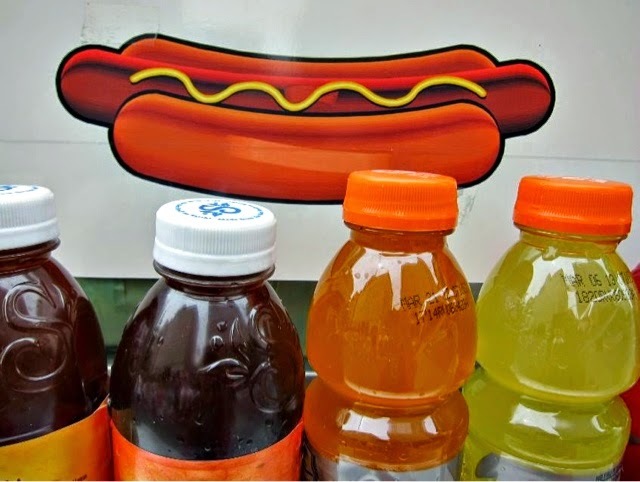 Hot dogs: Who'd-a thunk it? 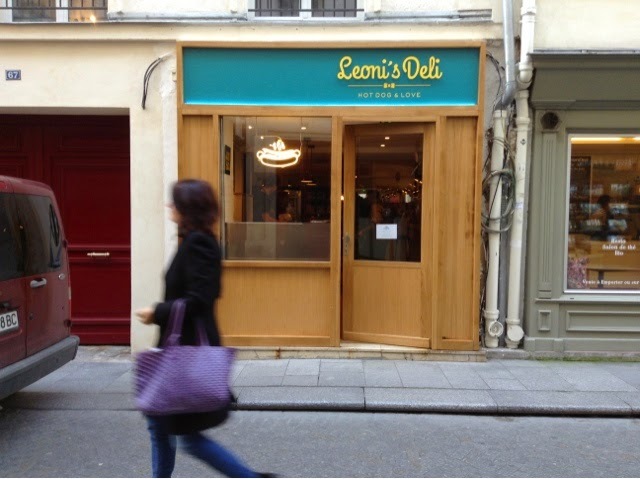 I was delighted with the tour of French hot doggism, but then you showed the menu at Leonie's Deli: "Pain Bun". 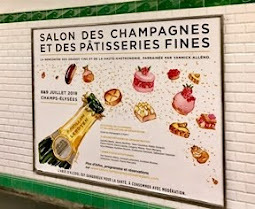 Never mind the redundancy -- the word "bun" has arrived in Paris!! Last photo would make a lovely painting! Loved your hot dog posting. Thought I would share this with you from New Orleans! You know the N O Saints cheer is Who Dat!!! OMG I moved to the WRONG town. I got a chuckle out of "Pat" the hot dog server, she is the epitome of French beauty and Chic. Is she there for a demonstration, I can't believe she sells hot dogs for her career-she looks more the Lady of a French Chateau. I was pretty sure sne was the patron. No monkey business from her. Strictly all dog oriented. What fun! I'm off to Wasses hot dog stand in Rockland! 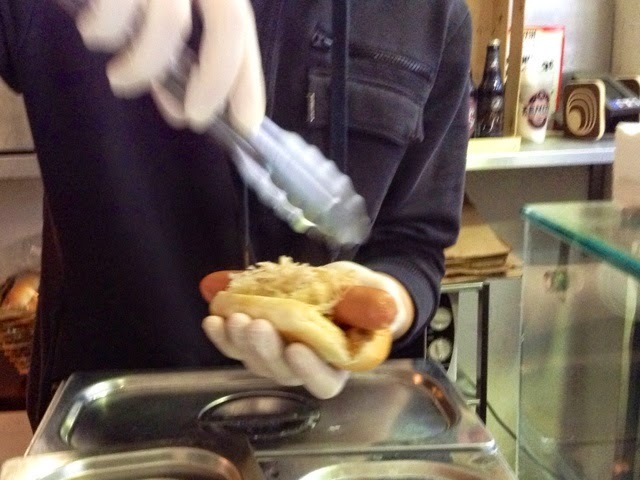 And Kraut dogs, too! Voted best hot dogs in Maine. I grew up with Charlie's in Centredale, RI. The "hot wiener' experience. Charlie would line about 8 dogs up his arm to dress them with meat sauce. No one ever got less than two! You also left with an aroma that did not leave your person for several hours. Everyone knew where you had been. Love it, though I've switched to bratwurst rather than hot dogs (except for the ocassional hot dog when in Chicago). Pat's had a CHICAGO DOG! I'm surprised they call it "hot dog" and not chaud chien (or something similar -- I might have the words wrong.) I'm a sucker for a good hot dog. And if you can add coleslaw to it, all the better. But I loved all your spots and your drawing is terrific! Thats part of the charm.